Shanley Pump and Equipment carries a full line of ANSI Standard Centrifugal Pump Flanges for your Allweiler® Centrifugal and Progressive Cavity Pumps ready to ship to your location the same day you order. We recommend that you use ANSI pump flanges for ease of your Allweiler® Centrifugal and Progressive Cavity Pumps installation. 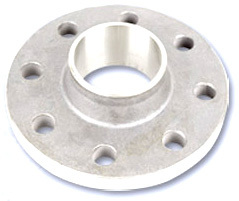 In some cases suitable aftermarket or alternate material flanges can offer the same performance for a fraction of the price. We can supply your replacement centrifugal and progressing cavity pump flanges for Allweiler® Pumps in a variety of materials from Plastics to steel to Stainless steel depending upon your high pressure pumping application.